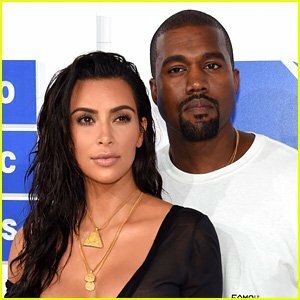 Kim Kardashian and Kanye West are the parents to a newborn baby daughter, who was born via a surrogate! The 37-year-old reality star announced the news on her website! “Kanye and I are happy to announce the arrival of our healthy, beautiful baby girl. We are incredibly grateful to our surrogate who made our dreams come true with the greatest gift one could give and to our wonderful doctors and nurses for their special care. North and Saint are especially thrilled to welcome their baby sister,” Kim posted, adding that the baby girl was born January 15, 2018 at 12:47am and weighed 7lbs 6oz. If you missed it, Kim spoke candidly about the couple’s choice to use a surrogate to welcome their third baby. Kim and Kanye are parents to Saint West, 2, and North West, 4. Congrats to Kim and Kanye on the amazing news! READ ALSO: Kanye West, TIDAL Sued Over "The Life Of Pablo"